Though it is not possible to show exact boundaries for historical tribal lands, the following maps give general ideas of where tribes were located. Maps of United States Indians by State lists the tribes for each state with links to web sites. 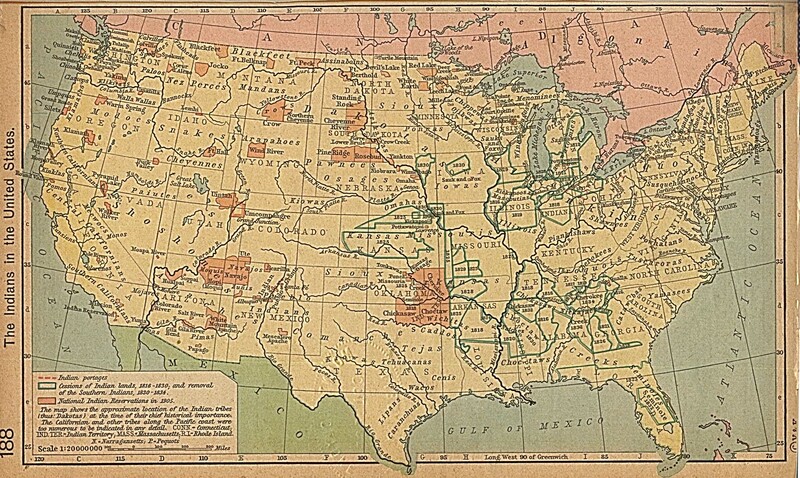 Map showing locations of tribes in the early 1800s. Indian Nations map for the entire United States shows regions and tribes. The American Indian Tribes site also has histories of tribes (you need to scroll down after you click the name of the tribe). This page was last modified on 10 January 2018, at 22:44.